The ultimate in training ammunition, Speer Lawman gives you the feel and performance of your premium duty ammo. 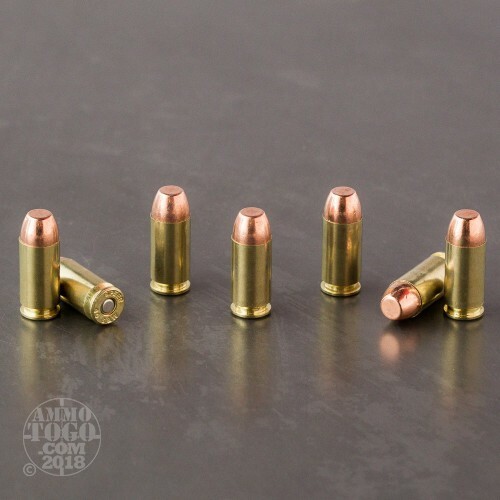 Available for a fraction of the cost of hollow point rounds, this .40 Smith & Wesson ammunition offers the opportunity to train using ammo ballistically similar to practical self-defense rounds. These loads provide point of aim, recoil, and function as close to your EDC ammo as possible, allowing for a seamless transition between training and protection. Each round is loaded with a 180 grain total metal jacket (TMJ) projectile. The plated jacket completely encapsulates the solid lead core to inhibit terminal expansion. 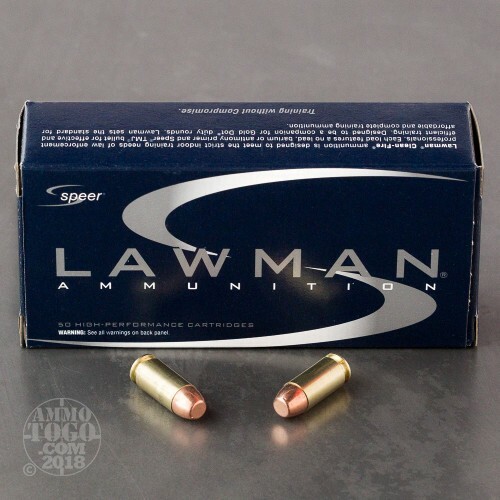 Speer Lawman uses only high-quality reloadable brass cases and clean-burning CCI primers. 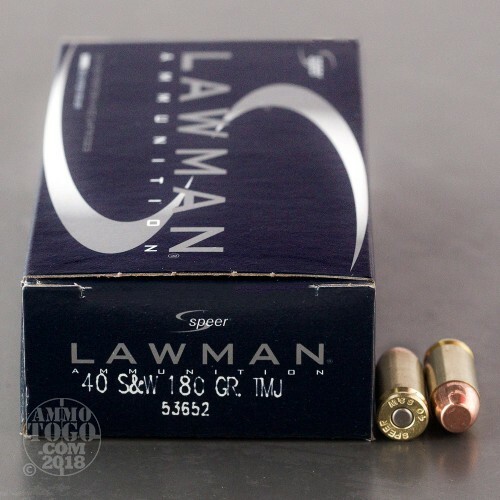 Leaving the muzzle at a velocity of 980 feet per second with 400 foot pounds of energy, these loads are ideal for plinking, target shooting, and tactical drills. 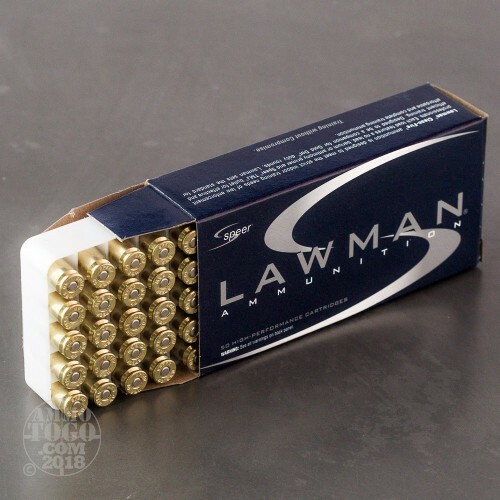 Perfect for the high-volume, budget-conscious shooter, this package contains a full 1000 rounds of Speer Lawman TMJ ammunition.